A chief opponent of the one of the nation's first bill barring boycotts of Israel is vying to become Illinois' next attorney general, a post that would allow the candidate to weaken the legislation, according to those who are raising concerns in the state's pro-Israel community. 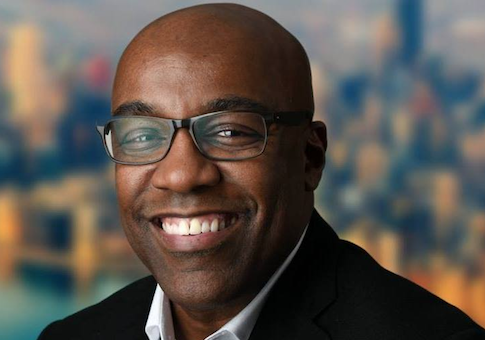 Kwame Raoul, a veteran Illinois state legislator who replaced President Barack Obama in the legislative body when he moved into the Senate, is running to become the next Illinois attorney general, a position that would give him leverage to weaken the state's landmark legislation blocking partnerships with any company that supports the anti-Israel Boycott, Divestment, and Sanctions movement. Raoul was a chief opponent of the legislation, which was enacted in 2015, and has come under fire from the pro-Israel community for anti-Israel remarks, which include comparing the Holocaust to slavery in America. While Raoul maintains a lead in polls, the race between him and Republican candidate Erika Harold is tightening ahead of next month's elections. Some are raising concerns about Raoul's opposition to the anti-BDS legislation and what his appointment could mean for its future. Under Republican governor Bruce Rauner, Illinois became the first state to pass legislation requiring the state to divest all public funds from any company backing Israel boycotts. Raoul's opposition to the measure has come back to the forefront in the campaign, with some in the state's Jewish community expressing worry he might weaken the legislation and give BDS supporters renewed vigor. Raoul, during a debate in the state legislature about the legislation, compared the Holocaust to slavery, prompting outrage from some at the time. "I've got some concerns," Raoul said during a March 2015 debate about the anti-BDS measure. "To me this brings forth a very slippery slope. Certainly the Holocaust was an atrocious set of acts, historically. And there have been many of those. I think slavery being one of them. We've seen in the city council in Chicago people bring forth ordinances to ask for mere apologies and acknowledgement of banks and other entities that have been the beneficiary of slavery, historically. However, we don't see anything that our retirement funds or state's contracting should be divested from this atrocious set of acts in history that happened right here in our country. What's the end of this?" Raoul, who worked to bottle up the legislation during his time as chair of the Illinois Judiciary Committee, also raised concerns that the bill would stop Illinois from pursuing other legislation critical of Israel and its government. "This [bill] says ‘any entity that boycotts Israel.' Now, we know the leadership of Israel right now … there's no reason, I think, to boycott Israel right now in my personal perspective," said Raoul, who went on to vote "present" on the legislation. "Somebody else might have a different perspective. But Israel is a democracy like ours, and Israel can have a different leadership in the future and there can be something that comes from that leadership that calls for a justifiable boycott by somebody, in somebody's opinion. Yet this language, as far as I see it, doesn't provide for something like that. And then, there are countries all around the world that are allies of the United States. Are we also going to say that because those countries are our allies, anyone who boycotts those countries, we are going to divest from those entities as well?" The Democrat's opposition to the anti-BDS bill continues to raise concerns in the Illinois pro-Israel community. "Raoul is well known in Springfield for his anti-Israel views," said one Jewish leader in Illinois who asked for anonymity due to the nature of his work. "If he becomes the attorney general, the BDS movement will have the inside track to destroy everything we've worked for around the country. If you're a pro-Israel donor and care about state anti-BDS laws not getting destroyed, you need to get involved in this race ASAP." As attorney general, Raoul would have the ability to take some BDS supporters off the state's blacklist and weaken the legislation. Raoul's campaign did not immediately respond to a request for comment from the Washington Free Beacon.